There is an enormous amount of energy contained within the sea. From the waves pounding against the coastline to the movements of tides where vast volumes of water rise and fall twice a day. Imagine if we could harness that energy and use it? Gladstone Ports Corporation (GPC) is continuing to progress its renewable energy initiatives, with a tidal turbine deployed at its Barney Point Terminal in Gladstone. The tidal turbine is part of a six-month trial aimed at demonstrating how tidal flows at the Port of Gladstone can be harnessed to produce electricity. 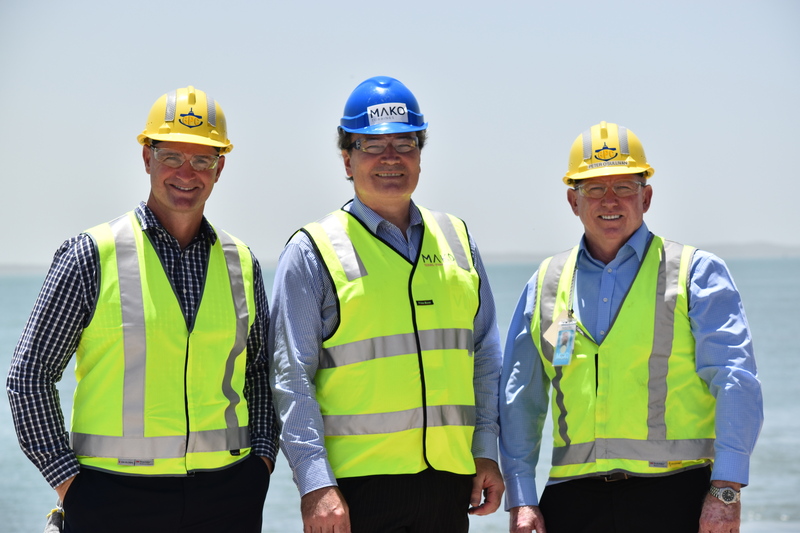 GPC has partnered with MAKO Turbines Pty Ltd for the demonstration, which is the first of its kind in Australian tropical waters using port infrastructure. GPC CEO Peter O’Sullivan said the tidal energy demonstration is just one element in the Corporation’s renewable energy journey. Mr Sullivan said that 2018 had been a breakthrough year for GPC in terms of furthering investigations around renewable energy. “Not only have we started to install solar panels at our sites, but we have also taken advantage of our port surrounds by partnering with MAKO in investigating cost-effective and reliable electricity through tidal energy,” Mr O’Sullivan said.